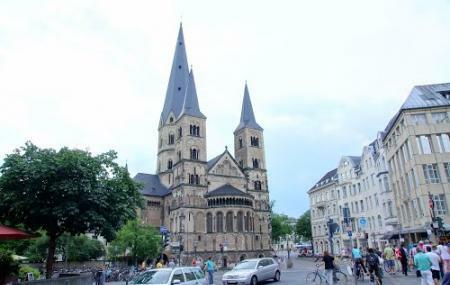 This is the main Catholic Church in Bonn and is one of the most prominent symbols of the city. Originally, it was founded as a collegiate church of San Casio and San Florencio. Later, when the secularization of collegiate occurred during the early 19th century, the church was titled San Martin. This was a name of a nearby parish church that was destroyed in 1812. Since 1956, is it known as the Minor Basilica. Visitors have this place on their to-do list for religious sites to visit. How popular is Catedral De Bonn? People normally club together Altes Rathaus and Bonn Botanic Garden while planning their visit to Catedral De Bonn.